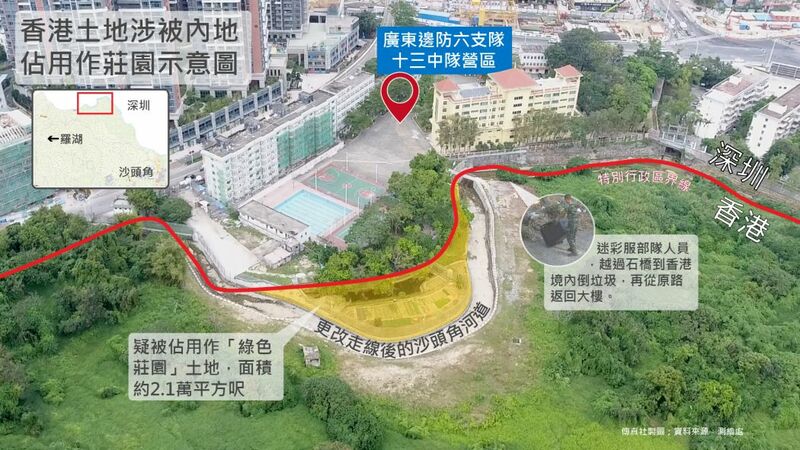 The Hong Kong government has promised it will “actively follow up” on reports that China’s military has occupied an area in Sha Tau Kok, the city’s border region. The government issued a statement on Monday evening saying that it was concerned about the matter. “The Chief Secretary for Administration, Mr Matthew Cheung Kin-chung, this afternoon chaired an interdepartmental meeting, involving the Development Bureau, the Security Bureau, the Constitutional and Mainland Affairs Bureau and other related departments, to understand and discuss the matter,” the statement read. The government added that the Lands Department and the police conducted site inspections on Monday, and were reviewing past land boundary records, aerial photos and work records. The land tract is located in Hong Kong’s Frontier Closed Area and is about 900 metres northwest of Sha Tau Kok Immigration Control Point. Drone footage shot by investigative news unit Factwire has shown soldiers dressed in fatigues hauling rubbish bins over a bridge spanning the border. 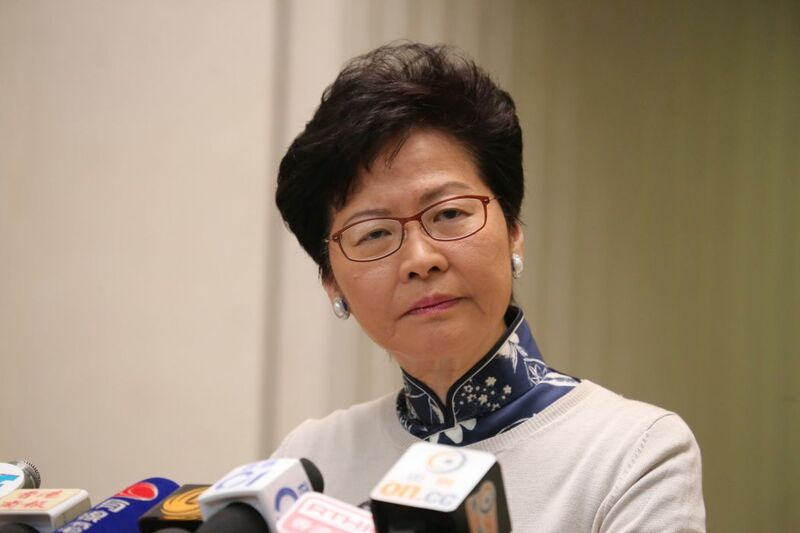 Asked about the issue on Tuesday morning, Chief Executive Carrie Lam said she had no updates and the government will release more information when possible. Deputy Chair of the Legislative Council Panel on Security James To said on Tuesday that he was “very disappointed” the government had not yet given more details. 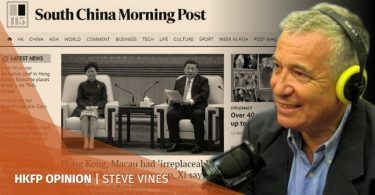 “How can we tell the international community that Hong Kong has ‘One Country, Two Systems’?… We can’t,” To said. 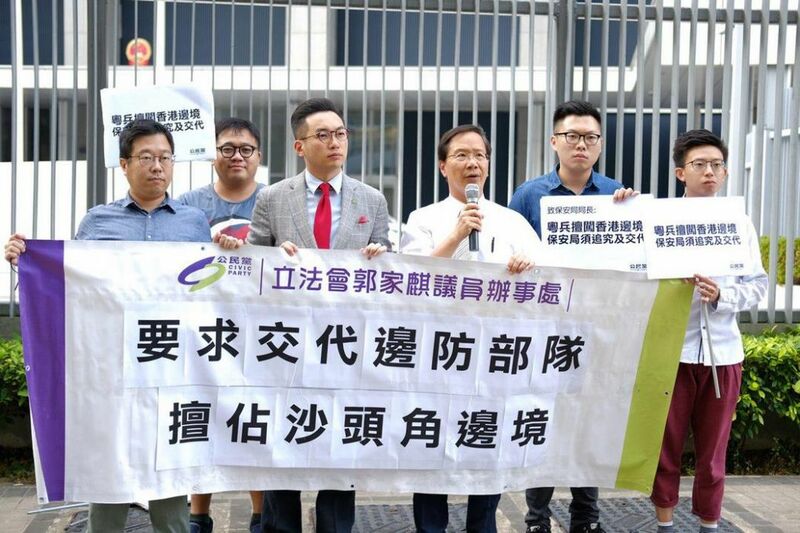 Members of the Civic Party demand an explanation for the land occupation in Sha Tau Kok. Photo: handout. “There is a hole [in the border] and it is so obvious and blatant… I don’t know if there are some unlawful groups within the People’s Liberation Army, that would conduct smuggling or other clandestine activities,” he added. The Civic Party held a protest on Tuesday demanding action from the Security Bureau. Civic Party lawmaker Kwok Ka-ki said that Shenzhen border officials had breached the boundary of Hong Kong as defined in the Basic Law. 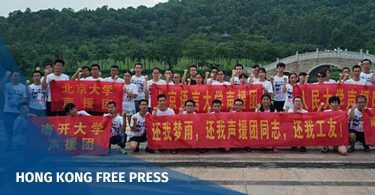 He also said that the practice had been ongoing for six years, and questioned whether the Hong Kong government was lenient in its law-enforcement.